This interactive retelling of the Three Little Pigs story allows the reader to play the part of the big bad wolf. Three interior die-cut holes invite readers to huff, puff, and blow the pigs' houses down! This fractured fairy tale ends sweetly when, rather than blowing down the third pig's brick home, the wolf blows out the candles on a cake baked by the pigs! 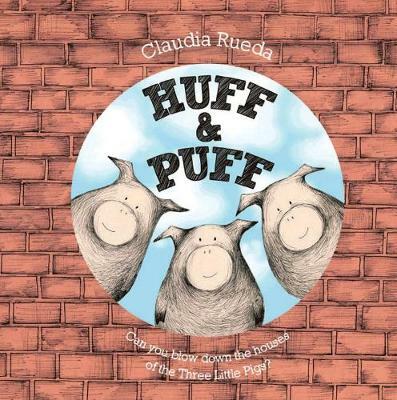 A satisfying and engaging read for every young Three Little Pigs fan.